Mr. Monty Reginald Burke, 36, of Millers Creek, passed away on Thursday, April 4, 2019. Monty is survived by his parents; son, Jason Burke of Millers Creek; brother, Bradley Burke and wife, Joanna; and nephews, Dakota and Sean Burke, all of Millers Creek. Monty enjoyed being outdoors, hunting and fishing. He also enjoyed music and playing the guitar. The family will conduct a graveside memorial service on Saturday, April 13, 2019 at 2 p.m. in the Burke Family Cemetery on Mertie Road in Millers Creek. 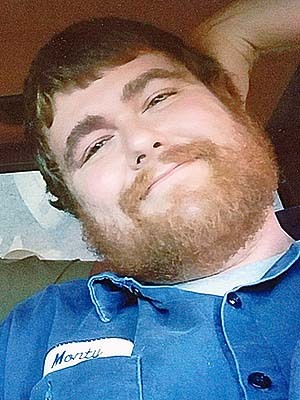 In lieu of flowers, memorial donations may be given to Adams Funeral Home of Wilkes, P.O. Box 396, Moravian Falls, NC 28654 to help with final expenses. Adams Funeral Home of Wilkes has the honor of serving the Burke Family.